Ligaya ng Panginoon Formation Center, Pamayanang Diego Silang, C-5 Road, Taguig, Pasig City. All my weekends for November and December have been booked. I have retreats to conduct and talks to give. Well, all weekends except December 7. Guess what day that is? Pacquiao v. De la Hoya. You see, here in the Philippines, everything comes to a halt whenever Manny Pacquiao steps into the ring. Jeepney drivers take a break. Sunday golf is postponed. The beaches are empty. The roads are cleared. Simply because, no matter how busy, people make time for those things which matter to them. My schedule has been crazy the past month now. Talks to give. Books to write. Meetings to attend. But I remember one day, while preparing for a talk, I heard my 2 year old daughter cry from the 2nd floor of our house. I recall how I dropped everything I was doing, no matter how pressed for time I was, rushed upstairs to attend to my daughter’s needs. As I said, no matter how busy, people can make time for those things which matter to them. In today’s gospel, Jesus was terribly busy. Yet in the midst of his busyness, he still decided to drop what he was doing to attend to the needs of a blind beggar. God will do the same thing for you. Yes, He has a universe to manage, stars to keep aligned, and wars to prevent. But never think for a minute that God has no time for you. For your house mortgage concerns. For your cancer. For your struggling marriage. Even for your simple wants: for a taxi in the middle of the rain; for a deadline extension at work; for traffic to clear so you can get to your appointment on time. Today, come to Him with your needs. Big and small alike. Let Him know where you are and what you want. Don’t hesitate. Don’t flinch. Don’t think twice. Your God isn’t too busy for you. He has time for those who really, really matter to Him. Last Saturday, I stood to speak before an auditorium full of men. From where I stood, it was a sight to behold. For seldom can you gather such a large crowd of men for a spiritual activity like that one. Fathers’ Congress, that’s what they called it. 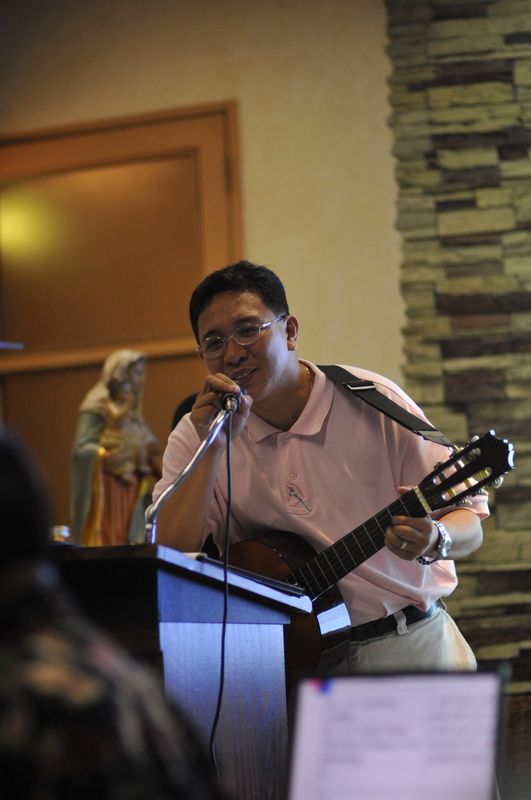 The organizer was the Parents Board of a school somewhere in Paranaque. 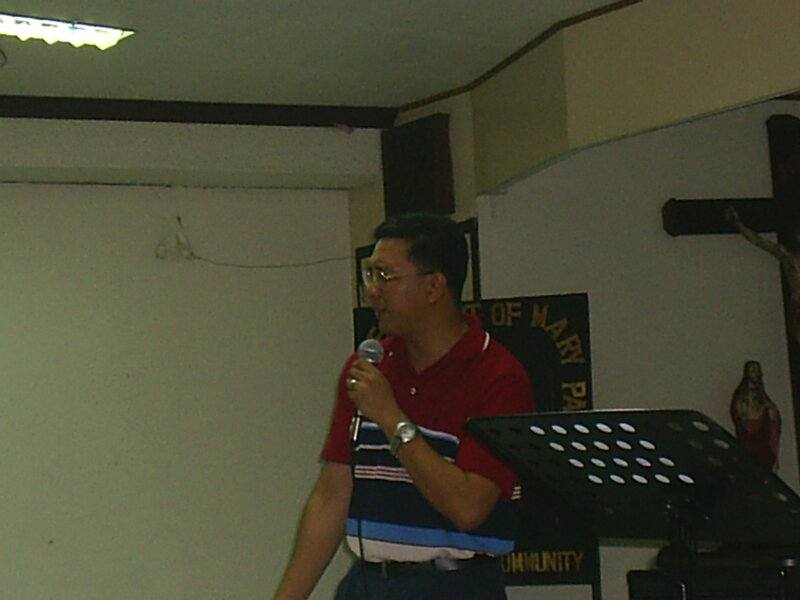 Spearheading the organizing committee was an ordinary man with an extraordinary heart for God’s mission. His vision: to gather all the fathers like him in that school to speak about the importance of the “Heart of Fatherhood”. And many thought this couldn’t be done. Aren’t we familiar with how uninvolved fathers can be in the academic affairs of their children? Seldom do you see a father actively involved in his child’s PTA. How much difficult it would be to attempt to gather all these men, pack them inside an auditorium, for a whole day recollection. Challenging, yes. Impossible, no. Not with a heart of faith. The Fathers’ Congress had been postponed once for lack of participants. The response was anemic. The organizer was disappointed. The school was confused. But all it took was for one man to push his shoulders back, go down on his knees, pray and try again. And with a little faith, the tree was uprooted, planted itself into the sea, and the Fathers’ Congress happened to a resounding success! Friend, what is the tree that you seek to uproot in your life? Habitual sin? Terminal illness? Long-standing resentment? A marriage near breakdown? Today, I invite you to learn from my friend who spearheaded the organization of a near-impossible event…and succeeded! If he did, you can too. All it takes is a lot of heart, and a little bit of faith. Yes, all it takes is a heart of faith. We needed more or less P20,000.00. It was to be the last installment of our insurance policy which we worked on for the last five years. It was already Thursday and the last day for payment was Tuesday the week after. Time, as well as my options, were running out. Well, what do you expect? A full time preacher really does not have much options when it comes to finances, eh. But then again, like what I always shared in this blog, God never runs out of miracles if only to prove to me that it was really Him who called to be where I am today. It was in a meeting I attended when a dear friend, a simple man from my Catholic Community, handed to me a white envelope as a “token of his support to my evangelistic ministry”. Inside it was a check for, guess how much,…drumroll please…P20,000.00. Just what we needed. You see, during Jesus’ time, the temple was where people received. It was where they pray to receive spiritual blessing. It was where the merchants sell for people to receive their daily material provisions. It was where they go to meet friends. It was where the people of God fellowshipped. Today, the temple ceased to be an edifice made of rock. As Jesus declared, He is the new temple — where people receive both spiritual and material blessings. That is why he must be the foundation of every disciple, missionary, priest and lay leader. Him who can’t be destroyed. Him who is ever holy. Him who provides. Today, dwell inside this temple. Marvel at the beauty of its courtyard called generosity. At its front steps called wisdom. At its front door called joy. At its pews called mercy. At its altar called love. I suffered vertigo over the weekend because of over fatigue. The past weeks have been terribly hectic for me as a preacher. And finally, last weekend, my body gave way. It is in moments like those — when a busy person is forced to rest by circumstances — when he begins to start questioning many things about why he does what he does. Bringing people to Christ. Helping people come to know the true source of life, peace and joy. Getting people to accept Him as their Lord and Master. It doesn’t matter if very few respond. It isn’t a big deal if others will choose to say no. It doesn’t matter if a good number will close their hearts from His love. All it takes is for one soul to say “yes” to Jesus, and I have enough reason to continue with my mission. To continue preaching. To continue writing. To continue serving. Yes, all it takes is one soul. One soul to fuel my ministry. One soul to motivate this fumbling preacher. One soul to energize this wearied body. All it takes is one soul to get vertigo out of the way. This Advent Recollection can be life-changing!